Home Car News Reality Check: Was Trump late for the Queen? Claim: President Trump says he was not late for the Queen when they met in July. He says he was actually early. Reality Check verdict: The president arrived and met the Queen on time, according to the official schedule. However, he didn’t arrive 15 minutes early as he claims. 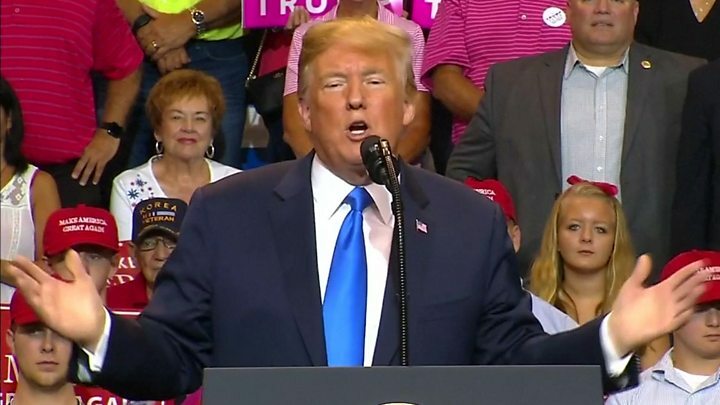 President Donald Trump at a rally in Pennsylvania denied that he was late for the Queen, calling the story “disgusting”. “So here was the story by the fake news: the president was 15 minutes late for the Queen – wrong,” he said. In fact, said the president, he was early. Let’s go back to 13 July for the president’s visit to Windsor Castle. 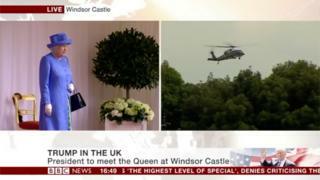 From the live BBC television pictures on the day we can see that as the time approaches 17:00, the Queen is standing alone on the dais in the castle quadrangle. Some journalists on Twitter pointed out that the Queen had been waiting there for some time and some said that she had even been checking her watch. CNN's Max Foster: "The Queen is waiting, which you don't often see…"
So had the Queen been kept waiting by the US president? The answer is no – according to the official schedule. The president arrived almost exactly on time. 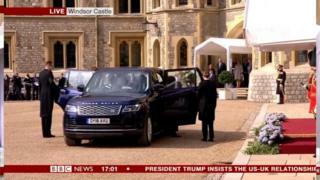 The TV pictures show that President Trump stepped out of the car at 17:01, and greets the Queen shortly afterwards (he was due to enter the quadrangle at 17:00). So he was on time, but had he had to wait? Was he “15 minutes early”, as he claimed? From the TV footage we know President Trump’s helicopter landed in the castle grounds at about 16:50, which was on schedule. Let’s assume it took President Trump and the First Lady five minutes to unstrap themselves from their seats, make their way down the steps and get into their car. Then another five minutes to travel the approximately 500m from the landing site to the dais where the Queen was waiting (the vehicle can be seen travelling at walking speed – say about 4mph ). That takes us to 17:00 – almost the exact time of the arrival of the presidential vehicle at the Queen’s dais. So not enough time for 15 minutes of waiting time to have elapsed.